Every time I visit somewhere, or do something exciting, I love to collect all sorts from my time to remember what I did. I am such a hoarder, (it’s not always a good thing, as I end up keeping receipts from random meals and leaflets to museums I didn’t even go to) But anyway, it’s nice to have a little collection of stuff from a specific period of time to help me re live that! I very rarely look though my collection of artefacts from my adventures, mainly when I’m having a clear out in my bedroom or moving rooms etc, so I am going to take this opportunity to pick out a few things at random that I have compiled over the years and give a brief outline of where it is from and what the memory entailed 🙂 Photographs are fab for memories, but I feel that little keepsakes like this are a bit more personal! 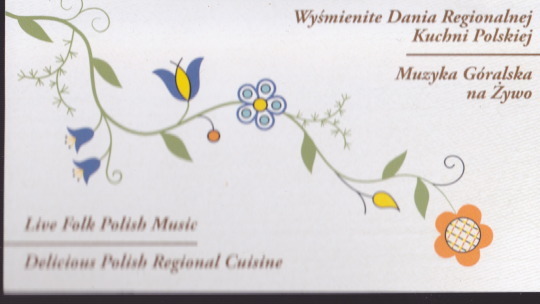 Morskie Oko, Krakow business card! – One of the most cultural independent restaurants I’ve ever been to in any country. It was just so unique and we visited there 3 times during our 4 night stay in Krakow. This was recommended to us by Emily’s Mum and I have also recommended this to two friends who have been to Krakow who also loved it! 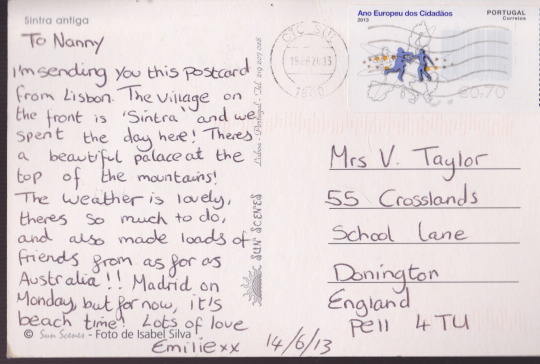 Postcard I sent to my Nanny in 2013, recently found when I was clearing out her house. 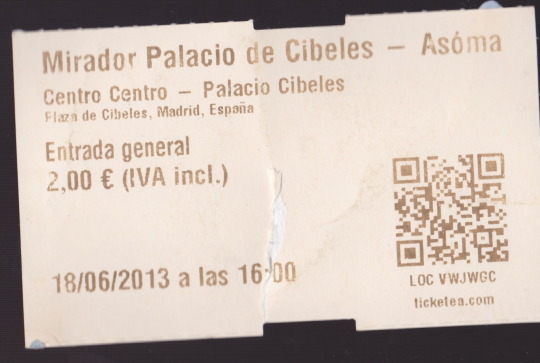 Cibeles Palace Ticket. 2013. My first day in Madrid. Who knew I would be moving there 15 months later! So in love with this city! 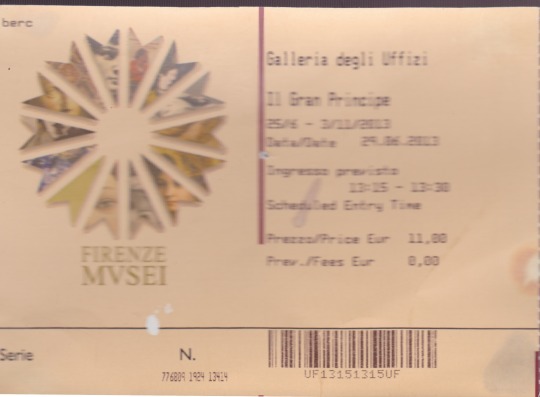 I always visit a gallery or museum wherever I go, luckily Florence is well known for it’s amazing galleries! The day I finally saw Wicked, Broadway ticket, 2015. There were many, many tears. 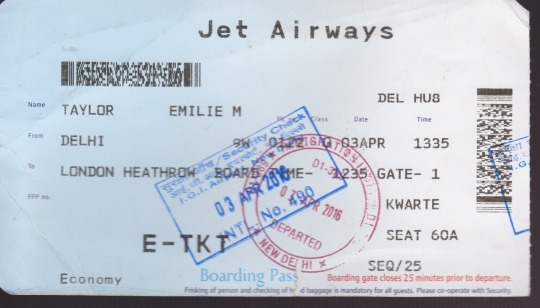 Jet Airways (terrible airline), Flight to New Delhi Ticket, 2016. The food was nice, the TV selection was good, but the staff were so so rude. I was so disappointed with the service from the on board cabin crew. Virgin Atlantic Boarding Pass to JFK, 2015. Minus the panic attack as I was boarding, a very enjoyable first long haul flight thanks to the complimentary wine and the good company. Train Ticket from when I interrailed Europe with Emily. Lisbon to Madrid, 2013. An overnight 10 hour journey, with no leg room, stroking legs with two men opposite me. With a stag party next to us. Worst. Night. Ever. 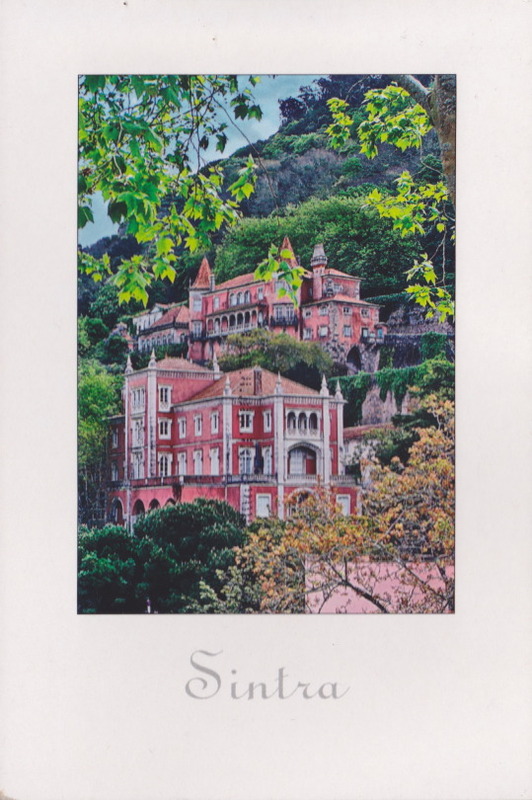 Interrail Pass, 2013. Where I fell in love with travel. 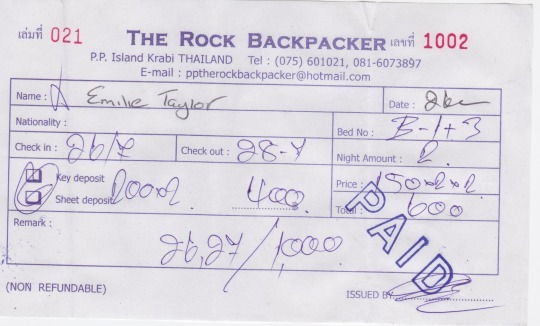 My very low budget hostel receipt on Phi Phi. £2 a night. Such a cool hostel, situated on different levels up in some rocks, but with very VERY basic rooms. Here is a write up of my experience at The Rock. Tonle Sap Ticket, Siem Reap. One of the most insightful experiences of my life. Seeing a completely different way of life really opens your eyes. I have some photos from this visit, here on my website. Empire State Building, 2015. We paid the extra 20USD to go to the highest possible floor! I even keep this stuff? 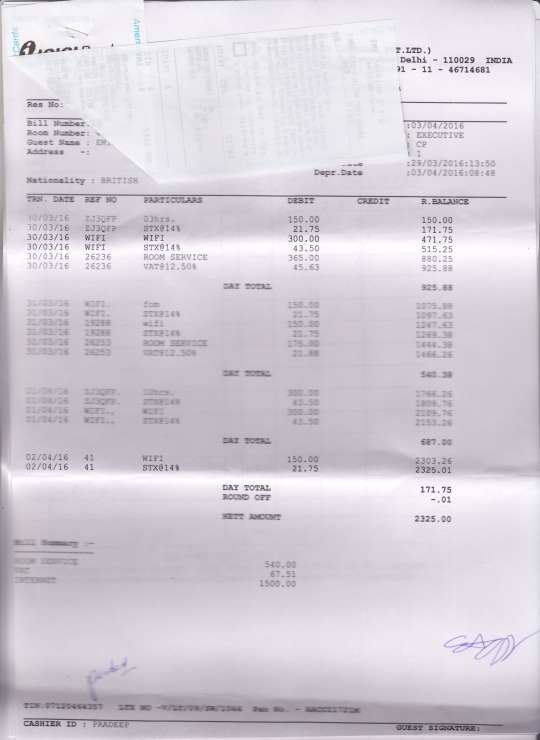 My bill from Iris Hotel in New Delhi, 2016. A GLP trip I took with uni. My first time to Asia and I absolutely fell in love with India. 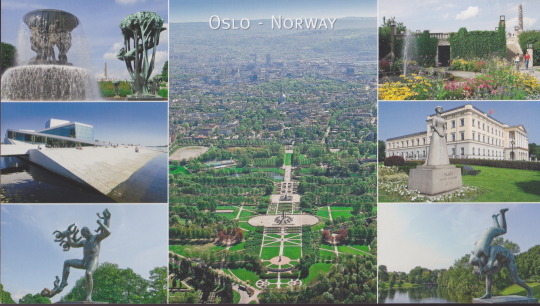 I LOVE to collect postcards from everywhere I go. Here’s one from Oslo from the beginning of 2016. The Vigeland sculpture park was amazing! Top 5 tips on how I save money for travel! you can always make money but you cant always make memories.It’s nice to read your article and memories.